creative interests to work with individuals and organizations. Charlotte Gullick is a novelist, essayist, editor, educator and Chair of the Creative Writing Department at Austin Community College. A first-generation college graduate, she received her AA with High Honors from Santa Rosa Junior College, a BA with Honors in Literature/Creative Writing from the University of California, Santa Cruz, and a MA in English/Creative Writing from the University of California, Davis. She completed her MFA in Creative Nonfiction at the Institute of American Indian Arts in 2016. Her other awards include a Christopher Isherwood Fellowship for Fiction, a Colorado Council on the Arts Fellowship for Poetry, a MacDowell Colony Residency, Faculty of Year from College of the Redwoods as well as the Evergreen State College 2012 Teacher Excellence Award. She has taught in the Travis County Correctional Complex and organized classes and literary events for Veterans in the Austin Community. Additionally, she has presented twice at the Associated Writing Programs Annual Conference (Washington, DC and Chicago, IL) on offering writing courses for Veterans. Melinda Rothouse is a professional creativity, leadership, and career coach, consultant, and educator, as well as a musician, songwriter, and performer. 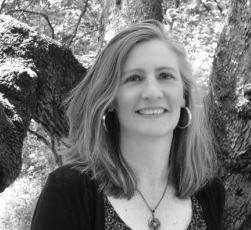 She is the founder of Austin Writing Coach and performs under the band name ﻿﻿﻿Melinda Joy and The Beautiful Illusion﻿﻿﻿. Her own writing and creative practices are informed by a lifelong love of learning, by an emphasis on journey and process, and by her involvement and training in meditation practice and the contemplative arts. She brings a commitment to mindfulness, deep listening, and engaged collaboration to her coaching and teaching work. Melinda’s approach to teaching and coaching draw on the principles of learner-centered education and positive / humanistic psychology, as well as 20 years of experience and training as an educator, musician, and performer. She enjoys working in close collaboration with clients to enhance their creativity and develop their confidence. Melinda holds a B.A. in Biopsychology from Vassar College, as well as Master’s degrees in Religious Studies from Indiana University and Performance Studies from New York University's Tisch School of the Arts. She has taught writing and religious studies at a number of colleges and universities around the country. Melinda is currently working on her Ph.D. in Psychology with a Specialization in Creativity Studies (a low-residency hybrid/online program) at Saybrook University.